Our team is focused on delivering a responsive and service minded experience to the publishers on the Opinodo platform. We believe in an online publishing industry where market research and data collection is a cornerstone of the business. Niels Thimmer is co-founder and CEO of Opinodo. Having worked many years in the news publishing industry as journalist, editor and business manager, he knows the industry by heart. 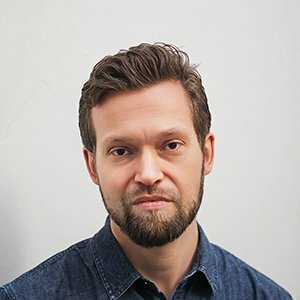 Niels’ focus is on securing quality in every aspect of the Opinodo platform. Milos Belcevic is helping shape opinodo as COO, in charge of leading daily activities. He brings in new perspectives and experience from working for clients from more than 15 countries, with focus on communications and business development. Niels Klintø is co-founder and in charge of marketing, data and technical development. With years of experience building online and selling consultancy firms, Niels has a strong focus on product and growth of the network. Aleksa Hristov is responsible for communication both with partners and with clients, and helps out with daily activities. Believing that good communication is the key to every good business relationship, his priority is that every stakeholder ends up satisfied. Kristina Nikolic is helping with business operations, making sure everything in company runs smoothly and making sure everyone is happy thanks to previous work experience. She used to work as a PR manager, communicating with everyone from hairdresser to secretaire and state ministers. In spare time she enjoys traveling. Milos Milosevic is Information Technology Consultant at Opinodo, making sure that our platform runs smoothly and securely. He has a strong background and more than 6 years of experience in software development, having worked on many exciting Toptal projects for various clients. He likes using engineering skills to solve different business problems creatively. Nemanja has a strong sense for detail and believes in the simplicity and the cleanness of the design. With his knowledge, and the commitment to excellence, he goes the distance to create a strong first impression for our users. In his spare time, he enjoys spending time in nature. Stefan enjoys solving interesting and challenging tasks that enable him to apply and further his skills. He has been concentrating on optimisation and back-end, and studied computer science. He is skilled in Laravel, PHP and SQL but also ambitious to improve himself in other languages and frameworks. He worked on different projects, like Serbia’s first platform for freelancers. Todor has always been curious for the way things work – when he sees something new, he doesn’t stop digging until he understands the principles behind. This curiosity and dedication are the things that made him choose computer science, and it’s also what makes him good at what he does. Skilled in PHP and Java, he helps Opinodo build new features and products.